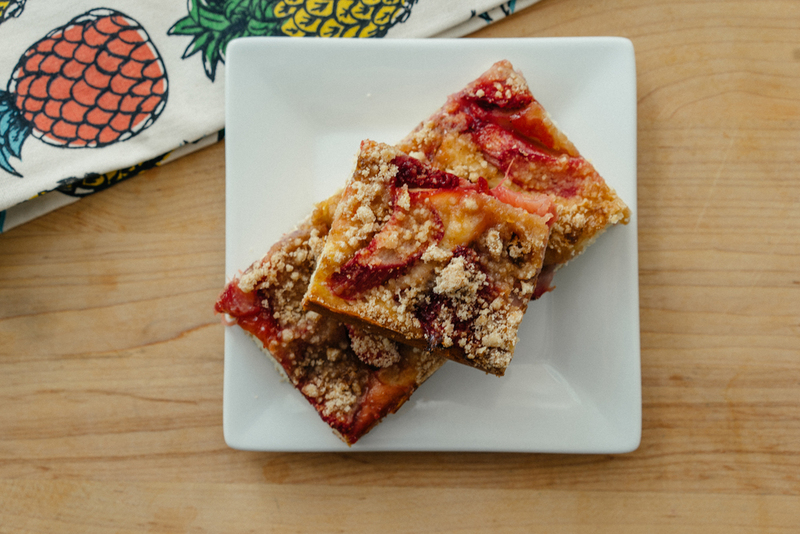 This Rhubarb & Strawberry Snacking Cake is perfect to have as an indulgent breakfast, a sweet treat post dinner, or you know...as a snack (what's in a name?). The cake is just a little dense, but moist—which I prefer. And I love how the rhubarb breaks down into this soft, gooey, burst of flavor with every forkful. Seriously good stuff. I used this recipe by Smitten Kitchen. There hasn't been a Smitten recipe I haven't liked. Truly! She's one of my heroes. 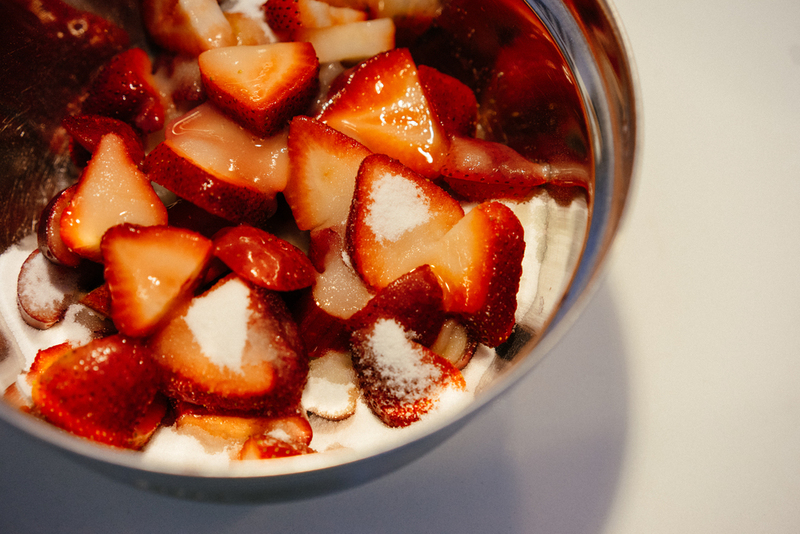 I added strawberries to this recipe, because why not? Just sub 3/4 cups strawberries (sliced) and 3/4 cups rhubarb in place of the 1 1/4 cups rhubarb. For recipes, I thought I would start categorizing these by difficulty level, just so you have a sense for what you're getting yourself into.